Riverwalk - Ceiling 9'-10'-9'. Photos Not Actual Home. MLS#6528538. Sharp Realty Associates. Riverwalk - Ceilings 9'-10'-9'. Photos Not Of Actual Home. MLS#6528580. Sharp Realty Associates. Please Note That The Back Bedroom Window Is To Be Replaced To Be In Compliance With Hoa .. Grids To Be Installed. MLS#6528858. Century 21 Results. The Outdoor Terrace Is Incredible And Ready For Entertaining. MLS#6527653. Lenox Realty Partners Llc. Parkside - Offering A Flexible Floor Plan, High-End Appliances, Modern Finishes & A Large Storage Unit This Winner Is Sure To Accommodate All Of Your Needs! MLS#6526631. Keller Williams Rlty Consultants. Enjoy All The Amenities Martins Landing Has To Offer. MLS#6527352. Keller Williams Rlty Consultants. Terrace Level With Kitchenette/Bar, Media/Rec Room, Bedroom Suite, & Fenced Yard. MLS#6526148. Keller Williams Rlty, First Atlanta. Founders Mill - 2 Zone Heating/Cooling W/2 New A/C Units. MLS#6526500. Atlanta Fine Homes Sothebys International. Community Gathering Park With Firepit Dog Park & MLS#6525998. Sm Atlanta, Llc..
Arbor Creek - Roof 5 Years Old, 1 New Hvac System. Hurry! MLS#8552009. Re/Max Around Atlanta. Hidden Lake - Needs Some Tlc & Priced To Sell! MLS#6526511. Keller Williams North Atlanta. Main Floor Has Hardwoods And Tons Of Space! Enjoy A Private Rear Patio. MLS#6525938. Eah Brokerage, Lp. Main Floor Has Hardwoods And Tons Of Space! Enjoy A Private Rear Patio. MLS#6525900. Eah Brokerage, Lp. New Carpet, Bookcases, Great Storage, Private Wooded Backyard! Sought After Location With Top Schools! MLS#6525094. Village Realty. Convenient To Ga-400, Shopping, Movie Theaters, Trendy Restaurants And So Much More. MLS#6526102. Red Barn Cityside. 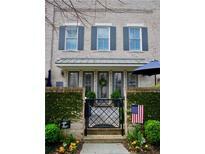 Orchards Of Roswell - Seller Purchased This Condo & Lived In Community Occasionally When In Town. Also For Lease. MLS#6524237. Keller Williams Rlty, First Atlanta. Spring Ridge - Finished Basement With Dual Rec Rooms! Large, Private Fenced-In Yard. 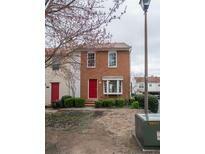 MLS#8548230. Keller Williams Realty Consult. Heritage At Roswell - End Unit W/ Extra Parking Right Outside And Common Area Across! MLS#6523969. Solid Source Realty, Inc..
New Roof Sept 2016 & New Exterior Paint Sept 2018. MLS#6523980. The Neighborhood Co Realtors, Llc..
Heritage At Roswell - 2 Laundry Rooms! Home In Fantastic Condition! MLS#6522475. Village Realty. Mountain Creek - Magnificent Back Yard Overlooks The Lake. MLS#8547171. Berkshire Hathaway Homeservices Georgia Properties. Top Level: Oversized Master Bed W Vaulted Ceilings And 2 Good Sized Secondary Rooms And Bathroom. Low Hoa Fees. MLS#6514854. Keller Williams Realty Atl Perimeter. Regency At Mansell - 2 Car Garage And New Carrier Hvac W/Dual Zones. MLS#6521509. Coldwell Banker Residential Brokerage. River Walk - Newly Finished Terrace Level Can Be A 3rd Bedroom Or A Media/Game/Play Room And Includes A Full Bath, Closets & Tons Of Storage. MLS#6521831. Atlanta Communities.